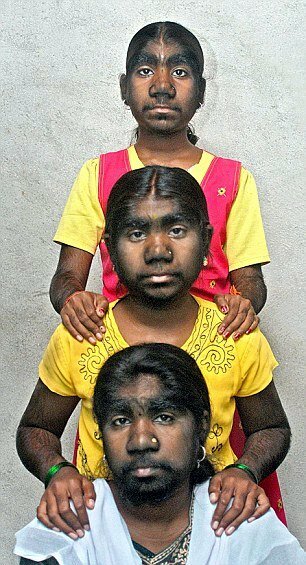 3 of the 6 Sangli sisters of India are afflicted with Werewolf Syndrome, also known as Hypertrichosis or Ambras Syndrome. This is a condition that is so rare, it affects about 1 in a billion people on the planet. Werewolf syndrome is characterized by abnormal and excessive hair growth on the body. 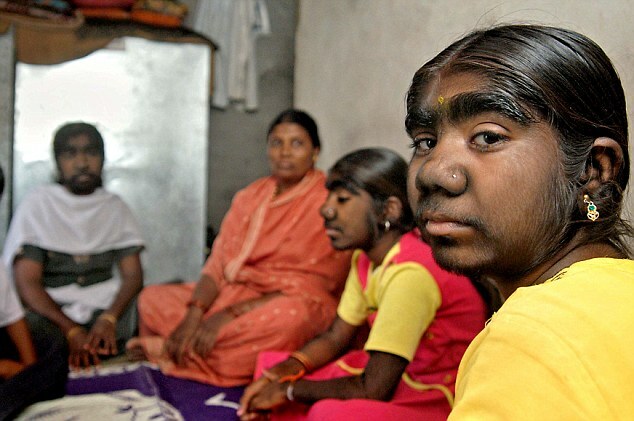 It’s a genetic mutation, in which cells that usually inhibit hair growth are left “switched on.” The Sangli Sisters, residing in central India, acquired their hypertrichosis from their father. 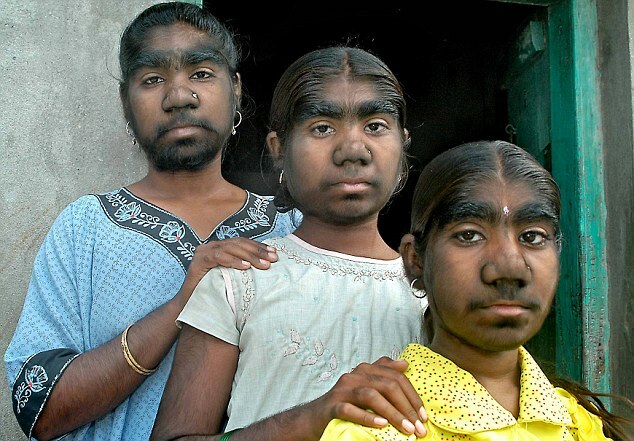 The three Sangli sisters who have werewolf syndrome – Savita (23 years old), Monisha (18 years old), and Savitri (16 years old), are forced to use special creams each day, or else their hair regrows very fast. Their mother hopes to fund laser removal surgery for them, but the cost of such surgery is currently out of reach (about $7,000 per person). Their mother recalls the day she was forced to marry when she was only 12 years old, not knowing about her husband’s affliction until the day of the wedding. 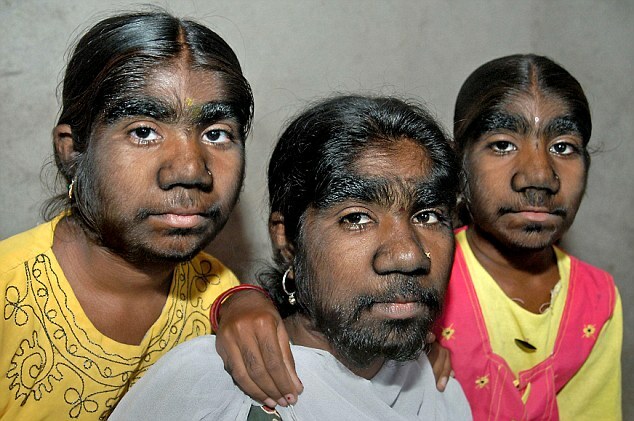 Documentary filmmaker Sneh Gupta wants to make a movie featuring the Sangli sisters, who hope to become free of their werewolf syndrome so they can eventually get married. Other people besides the Sangli sisters who suffer from werewolf syndrome include Julia Pastrana, who was a sideshow performer in the 19th century, Supatra Sasuphan, a Thai girl who in 2011 was named world’s hairiest girl by Guinness, and the famous family of Burma, of which the disease spanned 4 generations. Dis is unbelievable. I didnt knw dat hair growth could be a problem. God thank you for the way you made me oo, am so grateful. Dis world self na wa o! wait why cant we all jst av a normal life. God bless Nigeria. we all should be grateful 4 d way we are. God help us. God i tnk u 4 d way i am tnx alot. These girls are beautiful and God does not make mistakes. I am sure they even more beautiful on the inside.